I am a convert to islam from Dutch origin. Three year's ago i started with the basic course. Every evening i would make myself some nice tea and follow the lessons. It was a good time and i enjoyed it so much. After i covered the basics i searched for classical teaching with a group, i learned some Alhamdulilah but the sibaway course always remained in my mind. ​I have been studying Arabic for more than 5 years now and I have been searching endlessly for in class and online courses that are informative and clear to understand and there are not many Qualified teachers especially in regards to teaching women. I found your course to be the most beneficial to date. It has made this journey very positive and uplifting so thank you to you and your team. May Allah SWT bless all of you and your families and allow you to further prosper. 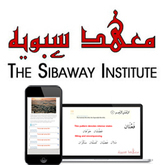 "​There are so many great Arabic courses online, but the Sibaway Institute is unique. 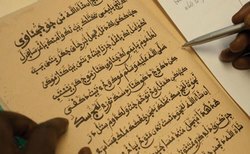 It is unique in the sense that it dwells deep into the Quranic linguistics which make the discourse so miraculous. There are also separate grammar courses available for people of different levels so that students can fill gaps in knowledge. But content is not alone sufficient without a teacher who can teach it efficiently. Ustaadh Nabeel Alkhalidy eloquently teaches his courses as though he is holding the students hand along a path. The cost of premium membership is unsurpassed and a bargain considering the amount of content available on the portal. It is the best investment one can make for their Akhira & Dunya." "The experience that I have had with the Sibaway institute has been wonderful and immensely profitable to my goal of understanding and appreciating the Qur’an. Ustaadh Nabeel (May Allah SWT give barakah in his time and increase him in knowledge) through his remarkable knowledge and teaching methodology has made the process not only easy, but highly enjoyable as well as going out of his way to help us understand Arabic grammar ,linguistic miracle of the Qur’an, ..... I have learnt so much from the Sibaway institute and look forward to learn much more ... "
"SubhanAllah, Ustadh nabeel is a very good teacher, may Allah bless him for the awesome hes doing for the ummah. I am personally doing the HN course and the content and the explanation is very good , simple , lucid and easy to understand. Anyone who really wants to learn Arabic, I would definitely recommend this Institute.... sign up , learn and its all worth insha Allah"